I was doing okay when I wrote that last post but, at the same time, something dark was creeping over my mind. I’d had a great weekend; leaving me with little to look forward to in the now-passing week, besides work in a job that makes me feel all kinds of negative things. I realised through CBT (another good week) that I am generally very critical of myself in anxious situation (self-esteem issues?). My list of questions for whichever helpline is able to answer their phone first. As I mentioned briefly in my previous post; I’m doing okay for the moment and I see my ‘withdrawal’ from this site as a positive thing (not having too many new negative thoughts to contemplate and generally coping with day-to-day life). Whether or not that’s solely down to the CBT work I’m doing with Positive Step; I don’t know. I’m sure there’s some personal benefit coming from this course and that’s what I’d like to start by writing about this evening. I’m going to try and write a proper post for you very soon because I’m having some very good experiences with my weekly CBT group and I’m already coming up to the fourth session in our six-week course. While I haven’t been blogging here, I have been out walking, getting practical with other interests and keeping my ‘real’ blog alive (it’s a good sign). Read below for the lyrics (even though they have no relevance to me on this occasion). Last night, only one half-an-hour past midnight, I had one of those weird dreams where I wasn’t sure if I was awake, asleep or if there really was ‘someone else’ in my room with me. This one probably counts as Sleep Paralysis more than the two other incidents I’ve experienced less than twelve-months. 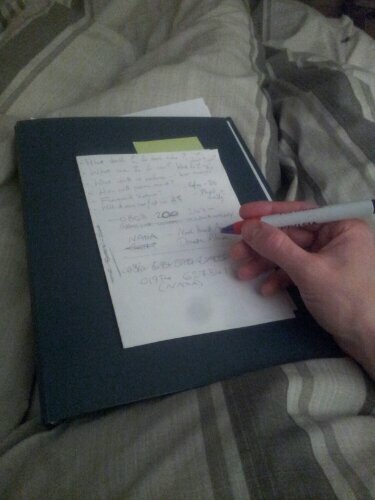 Another ‘stunning’ image from my smartphone’s camera provides the prompt for this evening’s post! 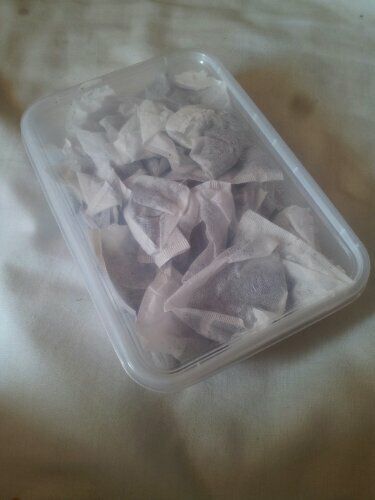 Decaf Tea Bags – Ready for Work! I’ve mentioned before on this blog that in-taking large amounts of caffeine can recreate the effects and symptoms of anxiety in an average person. This is something that was affirmed to me by my CBT worker when we met a few weeks back. As I’ve spent two-days now lying in bed (with a cold), it seems almost fitting that I’m going to sit here now to write and share with you my recollection and reflection of a dream I had a few nights ago.